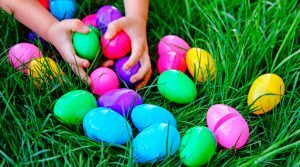 There will be 4 egg different hunts, each starting at the top of the hour between 10:00 & 1:00. The eggs are filled with fun treats and educational facts about the plantation. Each participant will also leave with a small take-away gift.